With global attention on the gender pay gap over the past three years, has progress been made to close the gap? This research examines how gender pay gaps have changed in the United States, United Kingdom, France, Germany, and Australia since our initial study in 2016. 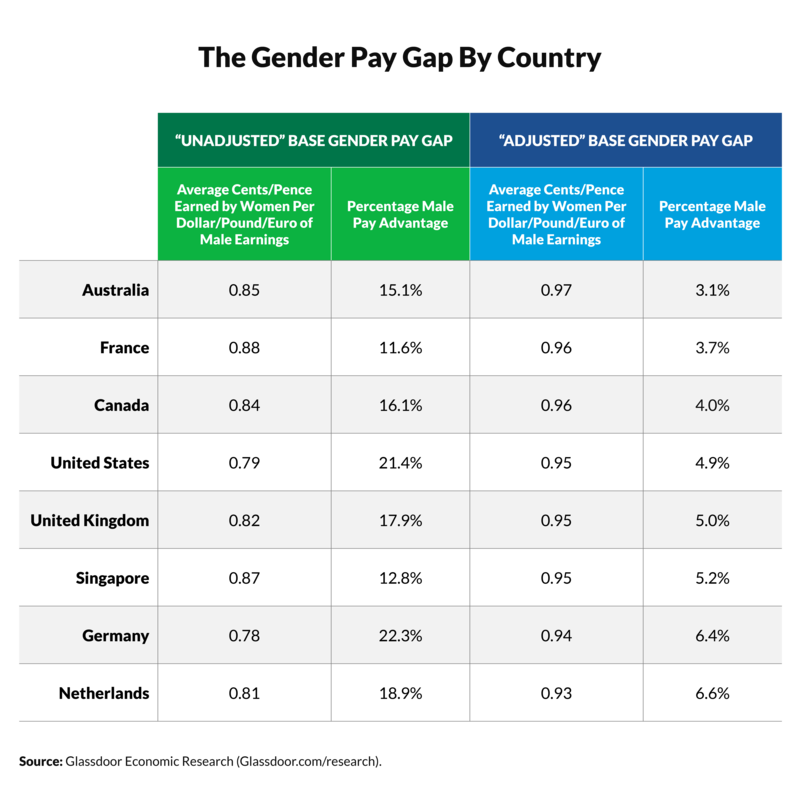 The 2019 study offers new gender pay gap data on Canada, the Netherlands, and Singapore and leverages hundreds of thousands of salary reports, including worker and job information, shared voluntarily and anonymously by employees on Glassdoor. 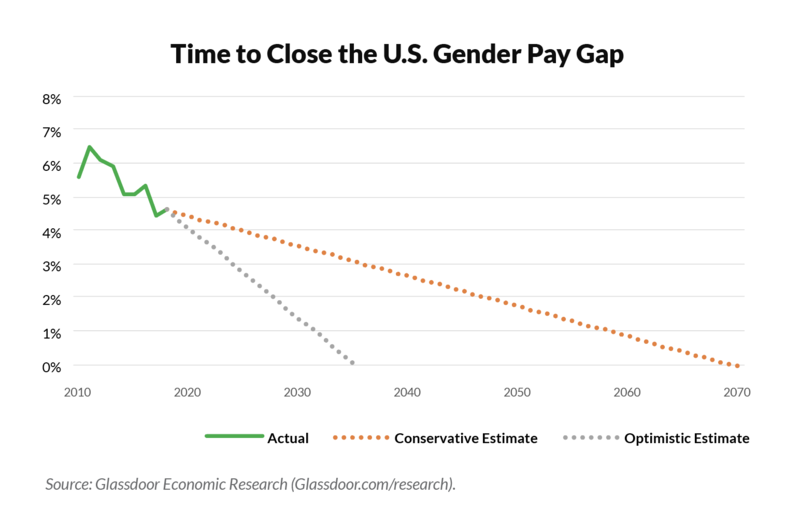 Using Glassdoor’s unique data, the study projects how long it could take to achieve gender pay equality in the U.S., if all current factors remain unchanged. Also, we consider whether a “salary confidence gap” exists between the pay men and women seek when applying to jobs. Men earn more than women on average in all eight countries we studied, even after applying statistical controls for worker and job characteristics to ensure an apples-to-apples comparison). Even though women do not receive equal pay for equal work yet, progress is slowly being made; the pay gap has narrowed since our last study in 2016. A tighter labor market, higher labor force participation by women and greater awareness of the gender pay gap all likely contribute to a shrinking pay gap. However, if these trends continue at the same pace, the adjusted gender pay gap still may not fully close until the year 2070. Signs show the gender pay gap is narrowing, slightly. Based on over 425,000 salaries shared by full-time U.S. employees on Glassdoor, men earn 21.4 percent higher base pay than women on average (or women earn 79 cents per dollar men earn). However, comparing workers of similar age, education and experience, shrinks the gap to 19.1 percent. Furthermore, after comparing workers with the same job title, employer and location, the gender pay gap in the U.S. falls to 4.9 percent (95.1 cents per dollar). We find a similar pattern in all eight countries we examined: a large overall or “unadjusted” gender pay gap, which shrinks to a smaller “adjusted” pay gap once statistical controls are added. What factors drive the gender pay gap? In the U.S., occupational and industry sorting explain about 56.5 percent of the overall pay gap — by far the largest factor. Does a “salary confidence gap” contribute to the gender pay gap? We studied the question: Does a “salary confidence gap” exist when applying to jobs, and if so, does it contribute to the gender pay gap in the U.S.? We found that men applied to jobs with base salaries that are, on average, $13,635 higher, or a gap of 18.3 percent, mostly due to the same occupational sorting differences that were also found to be a leading contributor to the overall gender pay gap. However, when comparing job application data by similarly qualified men and women, the adjusted “salary confidence gap” drops to less than one percent (0.7 percent), showing virtually no difference between men and women’s salary expectations when applying to jobs. Closing the pay gap. Progress made over the last three years is encouraging, however, sustained action from business, government and individuals is required to close the gap. Our hope is that this study helps draw attention to factors behind the gender pay gaps around the world, and encourages a smarter dialogue on how to close those gaps for good. 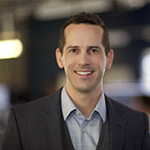 For more information about how to close the gender pay gap, visit www.glassdoor.com/equalpay.